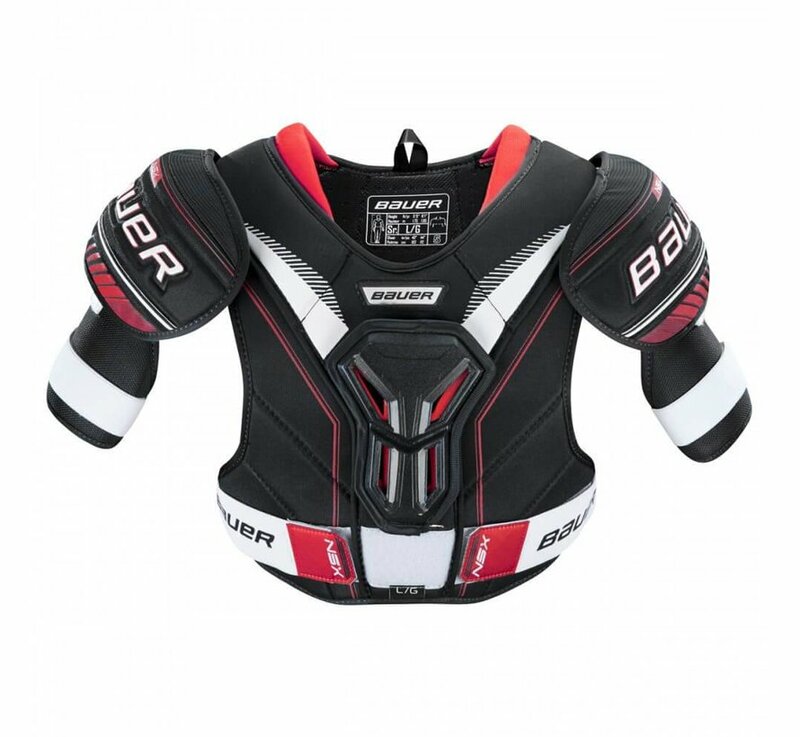 The Bauer NSX Shoulder Pads were built for the recreational or new-to-hockey player looking for good protection and comfort at an affordable price. 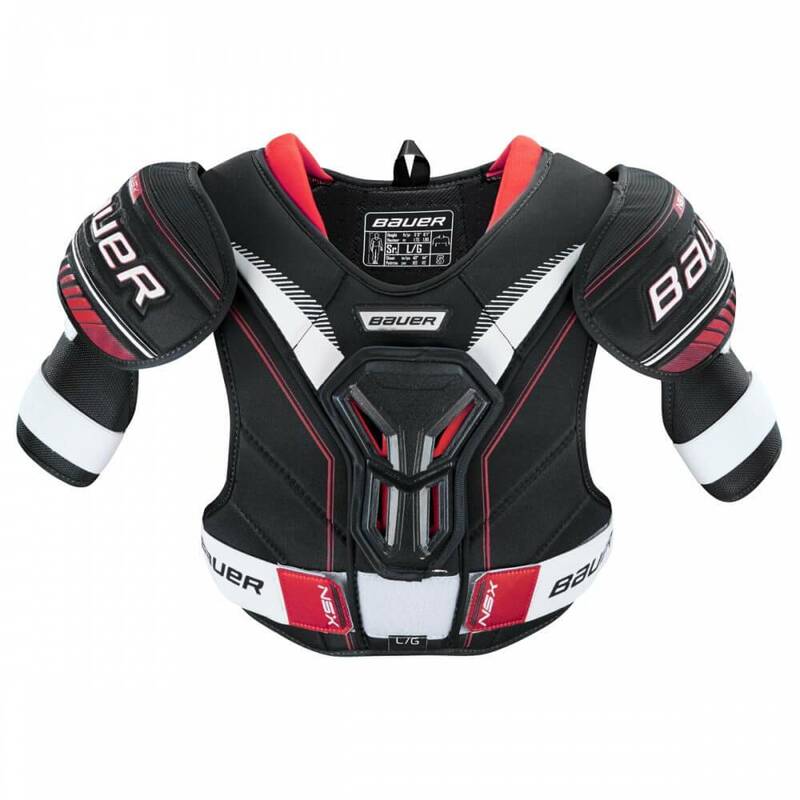 Bauer beefed up protection in key areas such as the sternum and spine with heavy-duty plastic inserts that do a great job of absorbing impact energy. 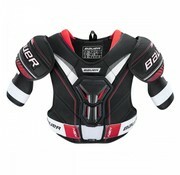 Bauer also used molded plastic as the base of the low-profile shoulder caps and the adjustable bicep guards. These are all topped and lined with medium-density foams to provide a comfortable feel and additional protection. The foam on the back panel is unique with its vented design, which promotes consistent airflow without sacrificing coverage or protection.